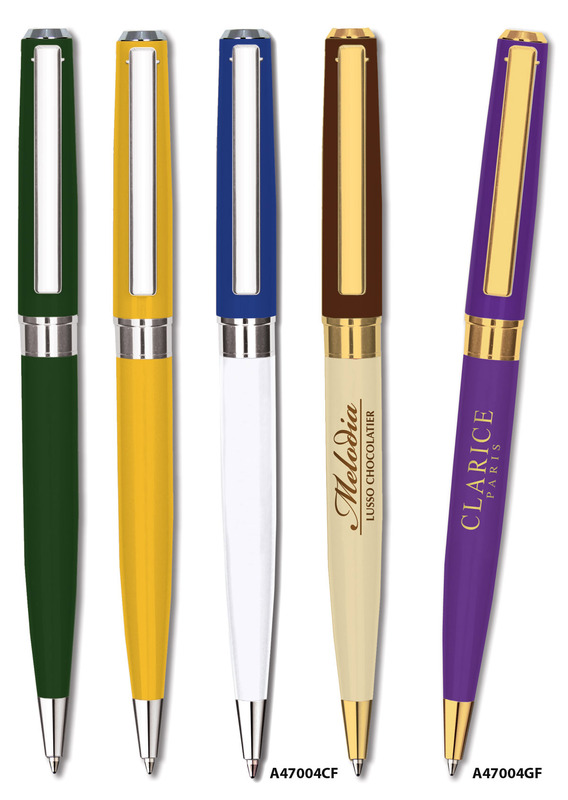 A high quality twist action ballpen specially manufactured gloss lacquered colours to match Pantone References. A47004CF Pantone Santos Ballpen with silver chrome fittings by Inovo Design. 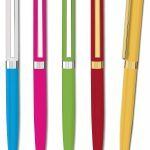 A high quality twist action ballpen which can be specially manufactured in gloss lacquered colours to match Pantone references for a minimum quantity of 500 units. A47004GF Pantone Santos Ballpen with gilt fittings by Inovo Design. A high quality twist action ballpen which can be specially manufactured in gloss lacquered colours to match Pantone references for a minimum quantity of 500 units. Colourways is a colour matching system available on the Santos ballpen for a minimum quantity of 500 units. Gloss lacquered colours can be reproduced to match Pantone references and the upper and lower barrel can be different colours. (i.e. You can mix and match two colours on the same pen!). The clip and fittings can be either silver chrome or gilt plated enabling you to design a truly bespoke product to really emphasise a corporate identity. The Santos ballpen is made on an exclusive basis to special order. The Santos ballpen is made on an exclusive basis to special order. The delivery time for a pre-production proof is two weeks from receipt of order and five weeks for the bulk order from approval of the sample proof. The Santos ballpen is supplied with a German made Parker style super smooth refill.